Here we are! 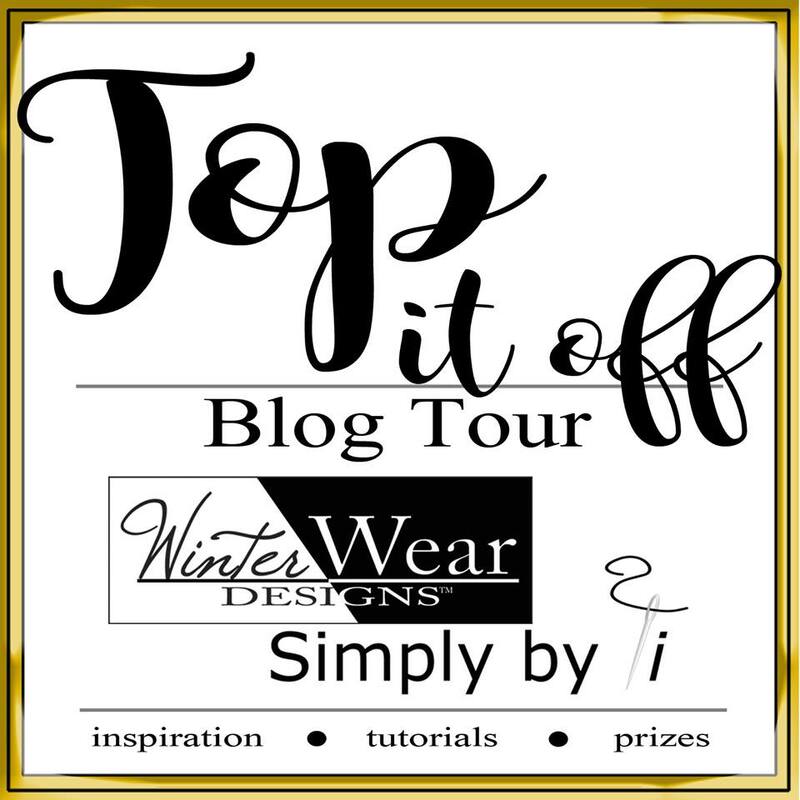 Back for another Winter Wear Designs* Blog tour! 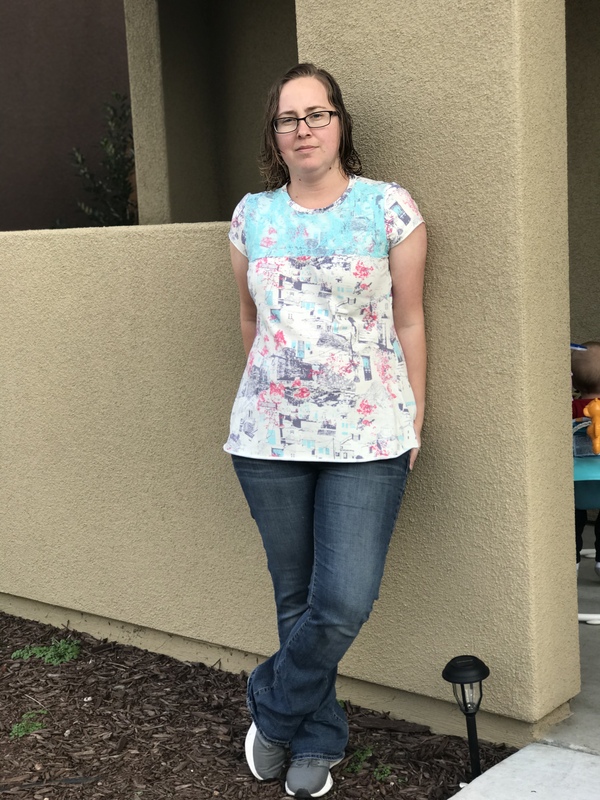 One of the events that Suzanne is doing this year is revamping older patterns to include new features-like layers that have become more of an industry standard-and update the covers. With each one, she is having a blog tour! What does that mean for someone like me that already owns every single pattern? I get to sew them up again! Except in this case, I had not made one of the La Croix before, mainly because when it came out, I didn’t think it would be flattering on me. When this tour started, I figured that I would sew one up for Jody, like I usually do since the girl can wear anything and make it look good! 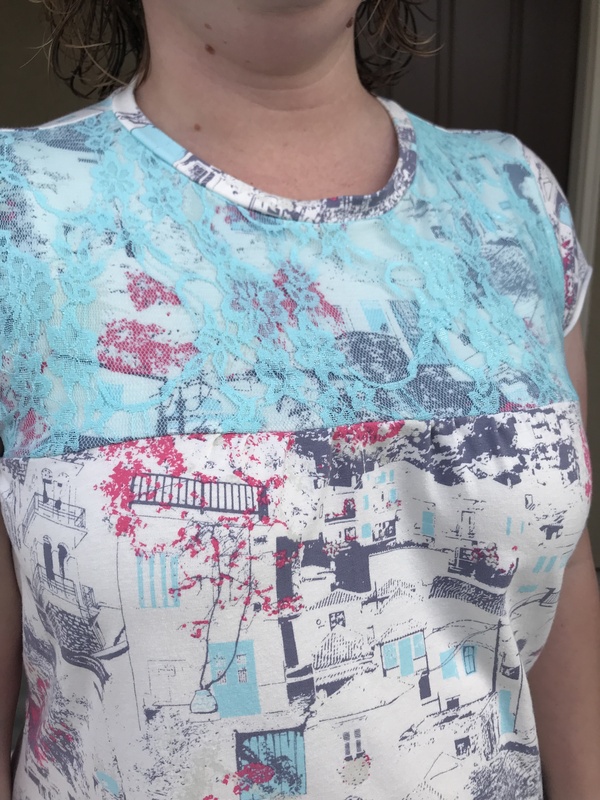 Then, I saw a picture of a shirt on a Facebook post in a fabric group and inspiration hit! After that, I knew it was going to be a shirt for me! As I started debating fabrics, I had to stray a bit away from the recommended fabrics in the pattern to get the look I was going for. 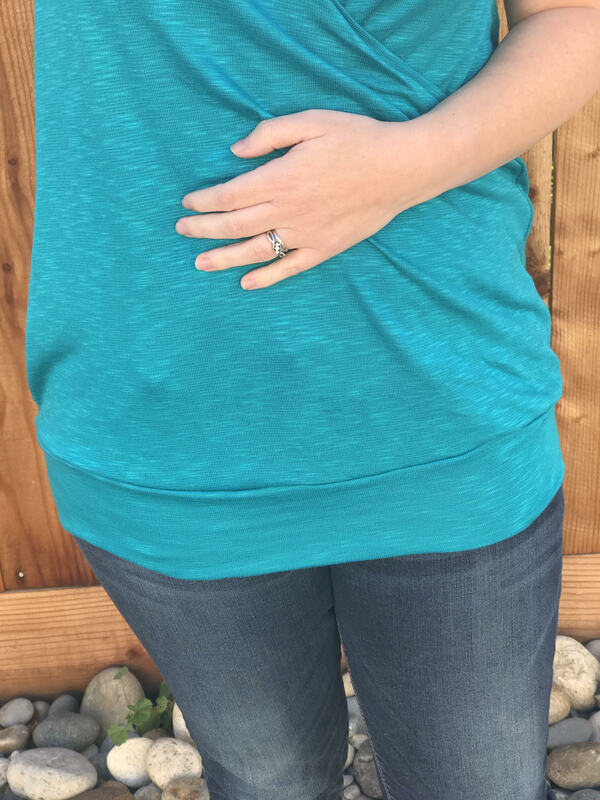 I ended up choosing a gorgeous slinky teal sweater knit that I received in my last knit mystery box from Boho Fabrics. Then, I had to make some modifications to the construction….ALWAYS FUN! First, I didn’t gather the sides, as I needed a flat bottom to attach a band. Yep, I used the band from the Banded Tee * and put a band around the bottom. I cut my band at 8″ rather than the 7″ to make it a bit wider, then I added a couple inches to the width as the La Croix is a bit wider than the Banded tee. 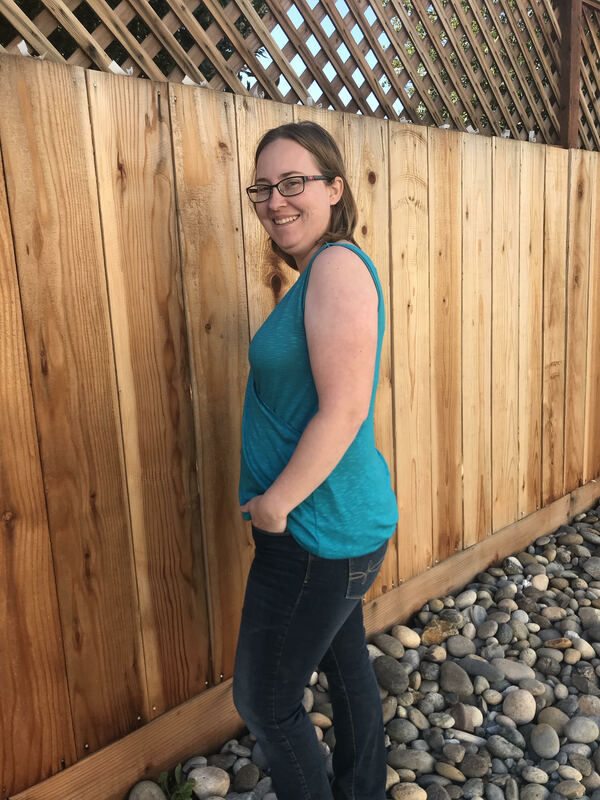 I opted for a sleeveless top, that will work under one of the many cardigans that I have or need to make for this summer. I followed the pattern for all the construction, until hemming the bottom, then I added my band, same as I would on the banded tee. 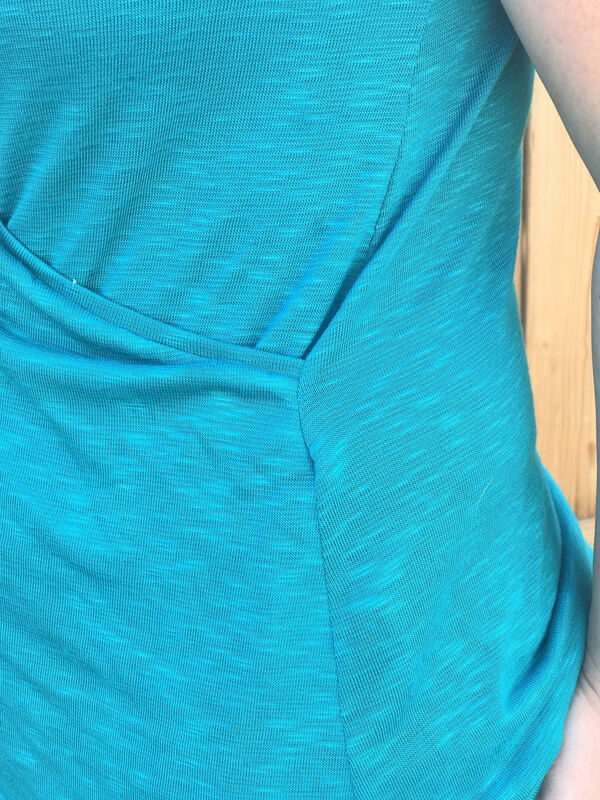 I made sure I had enough band to stretch to fit to pull in the bottom for a flowy bottom on my shirt. *denoted affiliate links. If you use these links to purchase from Winter Wear Designs, I receive a small commission on the order. I only share links to products I have tried and loved, so never fear that I am just trying to sell you something! I do not see any of your personal information. A HUGE thank you to Simply By Ti Fabrics for sponsoring this blog tour and providing the fabric prize for the blog tour. Speaking of fabric prize…Do you want to win $20 GC from Simply By Ti Fabrics and 2 patterns of choice from WWD???? Be sure to jump over to the Winter Wear Designs Fun group and enter to win! Be sure to share your creations as well! The ‘Bring on the Blouse Blog Tour’ is a celebration of the Omega* and Classic Shell Patterns*. These are both patterns designed for woven apparel fabrics and they are divine in rayon blends and other drapey woven fabrications. So strap in because this week will be filled with inspiration for both patterns. Don’t own these beauties??? Save 20% and grab the Omega* for just $7.95 this week during the tour. And get the Classic Shell* for just $5!!! I have been sewing consistently for quite a few years now, and for myself for the past 3 or 4 years. I started out with simple things like skirts. Mostly things that didn’t need too many alterations to fit okay. 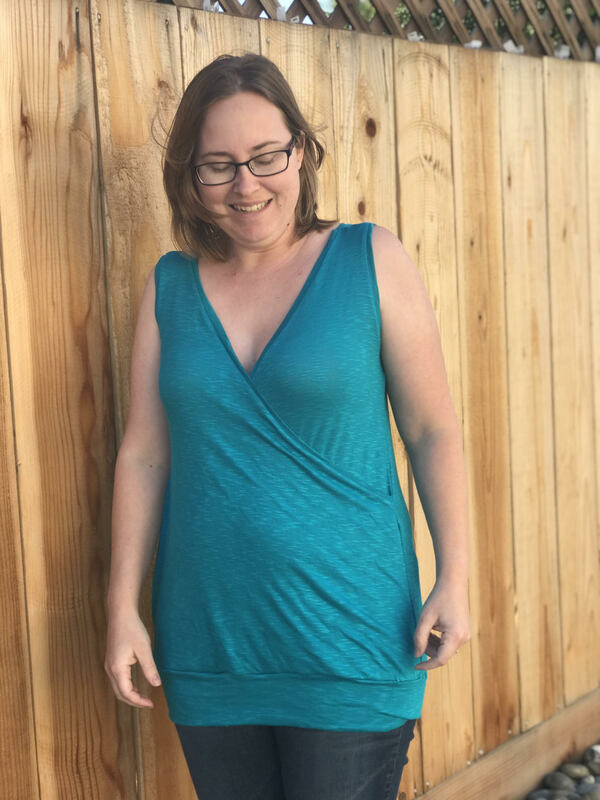 Then I started making dresses and tops, not because I planned on wearing them often, but because it was what was being tested by my favorite designers, or they needed a review for a new pattern. I love the designs, they just weren’t practical for my daily life. They were also ill fitting because I didn’t know HOW to tailor them to MY body. They were wearable, cute, and exactly what the pattern told me to make. Where did they end up? They all went to hang in the “handmade” section of my closet. I couldn’t toss or donate because “I made that!” I even moved then from out apartment to our new house, and lovely rehung them in my closet. All the while, knowing that I would likely never wear most of it. Then, Suzanne and I started talking patterns…A LOT! During these talks, we realized we both had a lot in our closets that just wasn’t practical to our daily lives. This gave me the push to clear out my stuff. It also made my sewing mission this year to sew items that I not only love, but that are tailor fit for me! Enter Winter Wear Designs Wardrobe Essentials Collection! The Classic Shell was one of the first releases in this awesome collection! It is made for woven apparel fabrics, but I didn’t have any in my gigantic stash of fabrics that was love-so I couldn’t sew one…or could I?!?! YES! I made a few alterations and made one out of knit! it is so comfortable and I know it will be worn a lot! I used a waffle knit that I received in a mystery box from Sincerely Riley. I added a fun trim to the hem for a little pop. 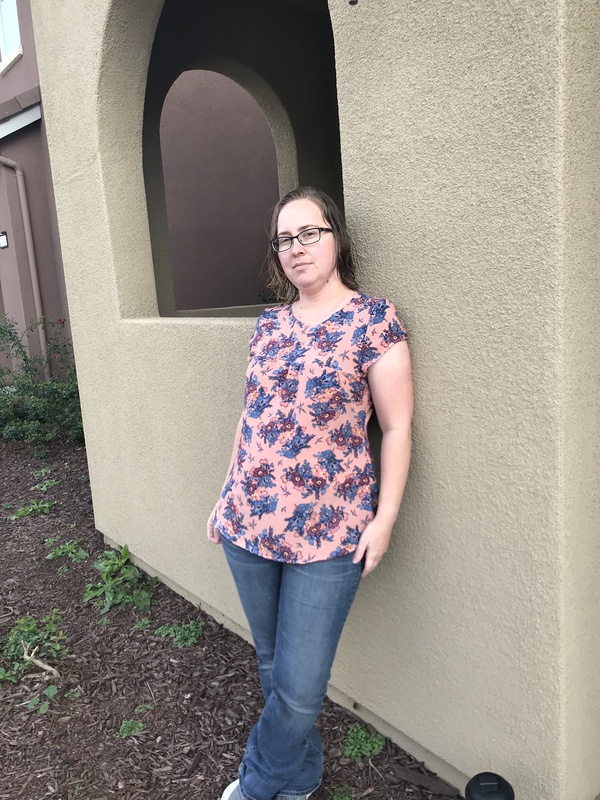 The only alterations I did to this one were to size down and a narrow shoulder adjustment (directions are in the patterns!). 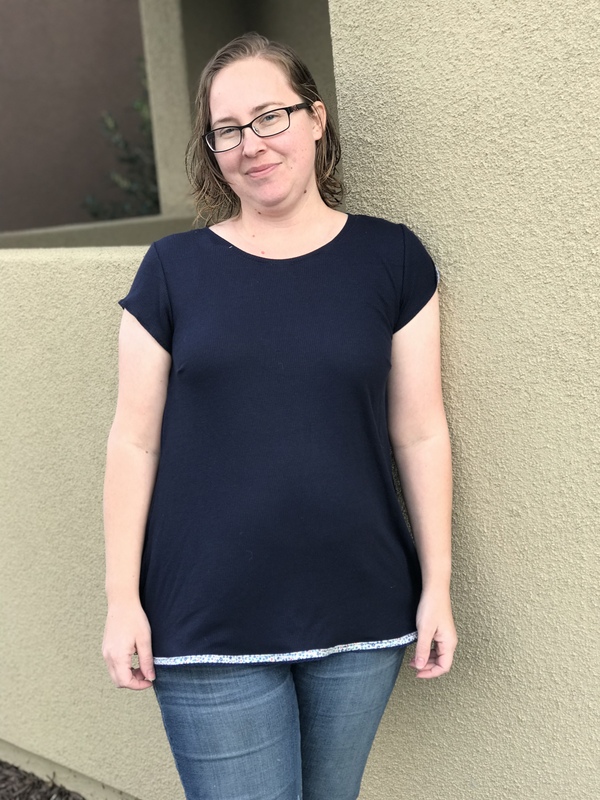 I chose to size down in the knit, just because I knew I would want more negative ease than the woven and that the knit would likely stretch a but while wearing. On to my other two tops! I made both a woven and a knit Omega. The woven was again from a mystery box from Sincerely Riley. I made it towards the end of last year, but it never got blogged or really shared much, as the holiday season took over! It is a well loved shirt in my rotation of “wear every week” shirts! I didn’t make any alterations to the woven version, but the next ones will have the narrow shoulder adjustment for a more tailored fit. 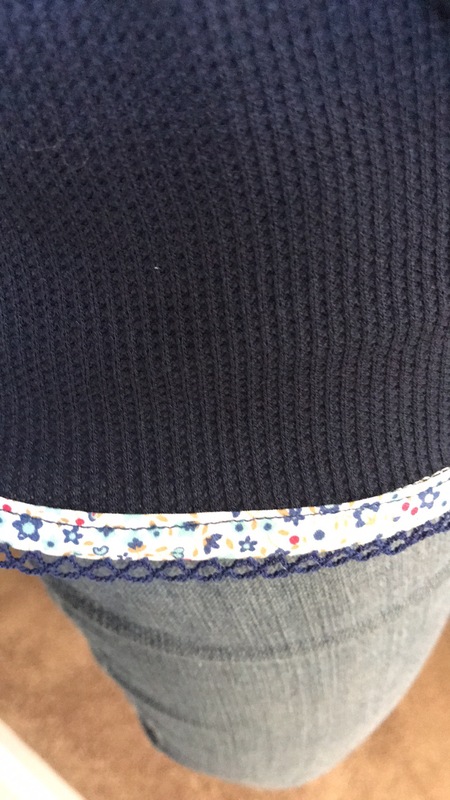 For the knit, I did a lace overlay on the front yoke, along with a narrow shoulder adjustment. This Art Gallery fabric, that I have been hoarding, was bought from Whimsical fabrics a couple years ago! After sewing it, I put it on and had these weird “wings” in the armpit area. 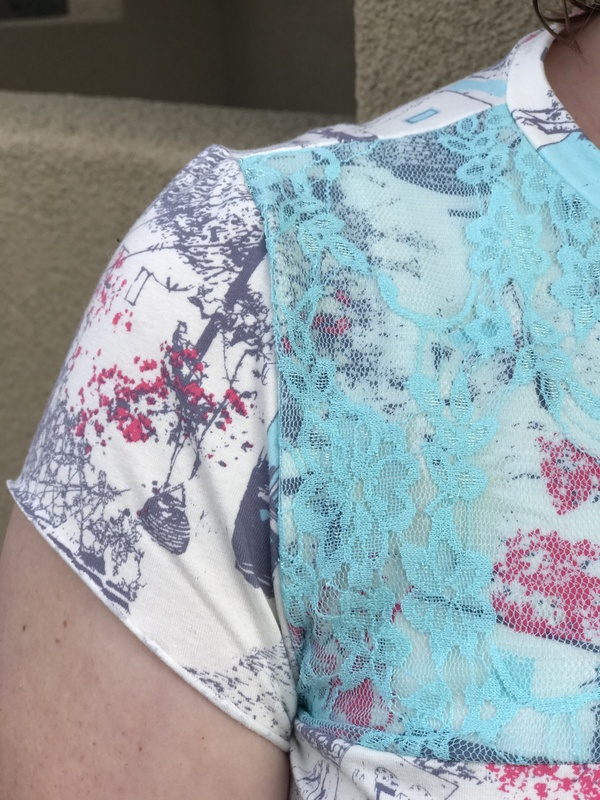 I ended up turning it right side out and pinning it to fit how I wanted, then took it back to the sewing machine and tool off a triangle of fabric starting at the sleeve seam and tapering down into the side seam. It fits so much better! So, do you sew a tailored wardrobe or do you just “sew to sew”? I am working hard to make sure that I check my measurements every month (I take new ones for the kids, why not myself? 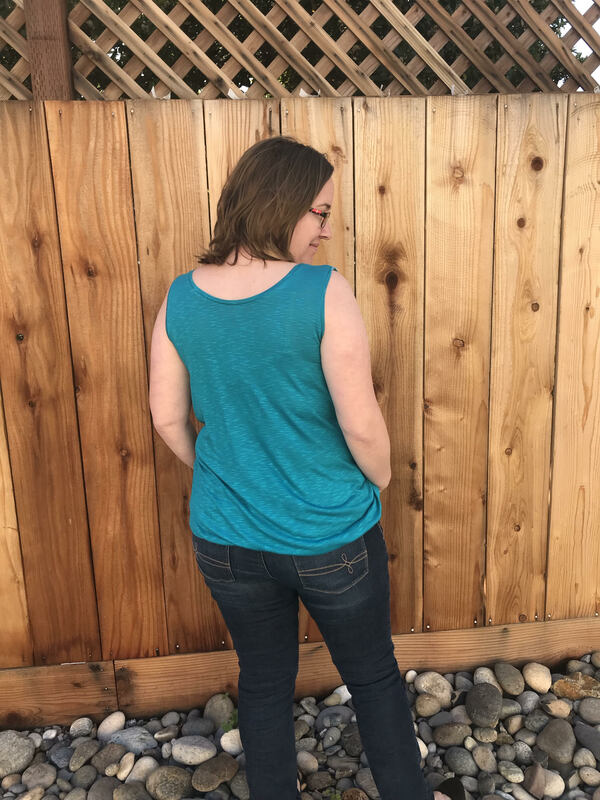 ), learning about more personal alterations, learning how I like my clothes to fit, and learning to SEW myself some Self Love. 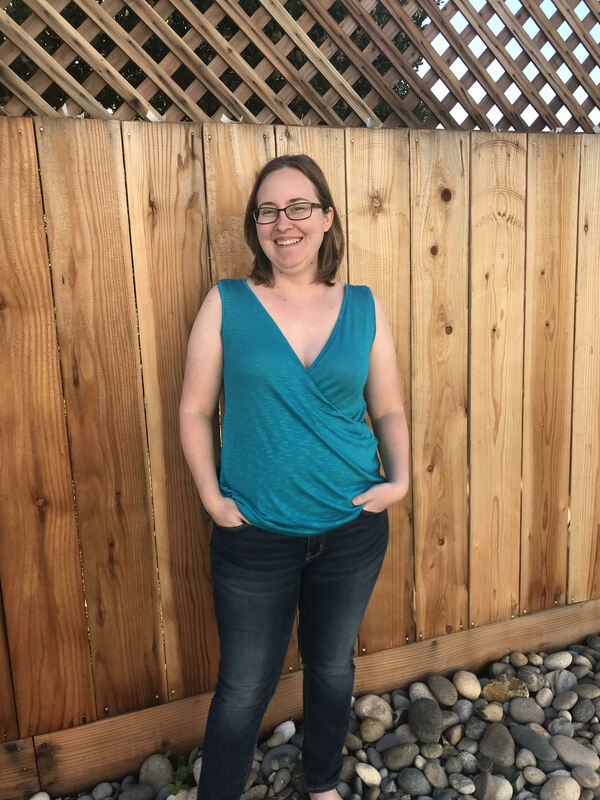 I hope this inspires you to sew clothes that you love and that fit you well, whether you need s FBA/SBA, narrow shoulder adjustment, or just need to lengthen or shorten something to fit YOU! To kick your sewing off right, Boho Fabrics has teamed up with me to give away an awesome prize bundle. We’ve got a mystery bundle of fabric from Boho paired up with two sets of the Classic Shell and Omega patterns (one for you and one for a friend – because it is always more fun to share the love!) This prize is open to everyone!!!! International entrants will need to pay shipping for fabric.